Every homeowner dreams of having a house that looks bright, cheerful, and is the ultimate in comfort and style. Worried that you’re missing out on any of these? Well, it’s never too late. A planned home remodeling will take care of all your requirements. And, if you are looking for new windows and doors, or replacements for existing ones, this article is for you. We have some of the most popular 2019 window and door trends to watch out for. Just make sure the installation is done by a certified door and window contractor. Let’s begin with the window trends first. Beautiful, functional windows improve your home design, decor, curb appeal, and also add to efficiency. The emphasis in 2019 is going to be on large windows in darker hues which are as airy as possible and provide an unobstructed view. A great window will also be more efficient in terms of saving energy. Imagine a space with lots of open windows — wouldn’t it help you save on utility bills besides being amazing? Yes, it would. 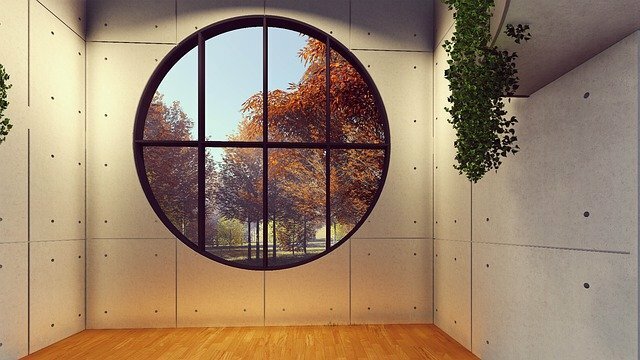 So, homeowners in 2019 are focussing on the following features when it comes to choosing the perfect windows. 2019 is all about sustainability. Everyone is realizing that the choices we make in our lives, outside as well as inside our homes are impacting the environment. 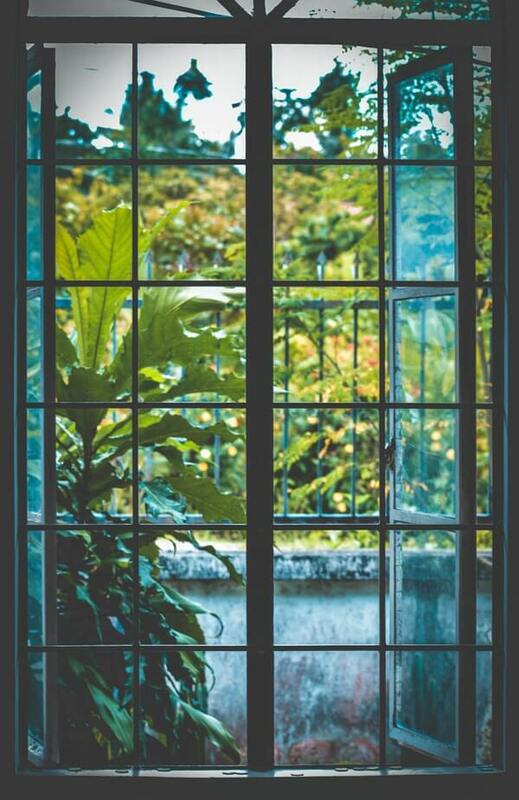 Once they feel that the old windows are not doing what they should be doing — of keeping out the hot air out in summers and the cold in winters, they are not shying away from installing ones that function well. There is no compromise when it comes to leaky or inefficient windows. These not just translate to the fact that you’re paying a higher utility bill but also that they are burdening the Earth more. Handy tip: Most conscientious homeowners are opting for Energy Star certified windows. We feel you should choose them too. The grid design – usually popular for its homely and cozy appearance — is no longer the norm for windows now. The year will see more and more people choosing grid-less windows which are minimal to the point that there is absolutely no obstruction of view. Go for tempered glass windows. 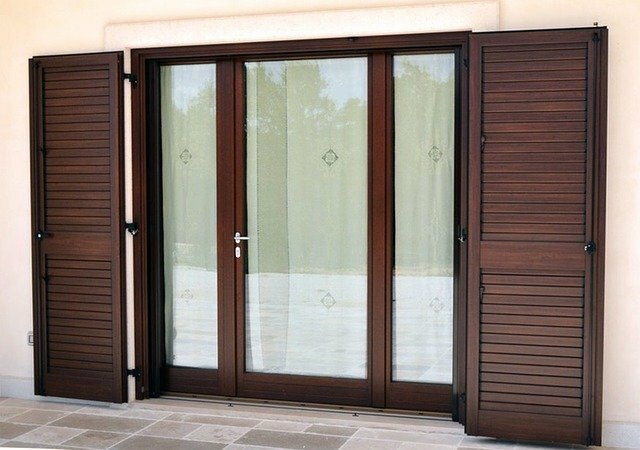 The material is considered one of the most resistant ones — ideal for windows, doors, and gate designs. Grid-less windows may not be as whimsical as those with grids — but they are chic and very practical. Also, they let in maximum natural light. Handy tip: You can choose to have sliding or fixed ones. Both offer uninterrupted views and look uber-stylish. Another deviation of the above functional design is the large wall window — from floor-to-ceiling. And, with minimal frames. More view, less hindrance, fewer hassles — the perfect open windows with clean lines. These are generally fixed windows which are inoperable. The great thing about having fixed windows is that since there is more glass if you opt for tinted ones, you will not need a screen or curtains. It’s really functional for places that witness severe winters. The sun rays aid in keeping the room warm. However, these are not very practical if you love a cross breeze or fresh air in summers. Handy tip: If you opt for such a style, keep it for your main living room on the ground floor — not for your bedrooms or upper floor windows. You might need windows that open and close at will. Want to make a bold statement through your windows? Choose a modern design that stands out. These geometric styles — with rectangular, square, oblong, and even round shapes — push the boundaries and give your home a dramatic look. The best part about these designs is that you can mix up different color palette, shapes, and materials. There are no rules, you can just go crazy. If eclectic is your personal style, this window trend is for you. Handy tip: If you want to make your window a focal point, go for panoramic windows. These corner windows offer maximized views with light coming from multiple angles. Matte black is the color to watch out for in 2019. The statement-making black framed windows are a rage because they are fresh, different from the mundane white, stylish, and practical too. These black windows work well with both traditional as well as modern homes. So, should they be black metal or colored black? When it comes to their window frames, millennials are preferring painted frames as opposed to actual metal frames. The reason is simple. They don’t want to commit to a frame that they may grow tired of in a few years. So, if they’re bored, they will simply change the paint color. Handy tip: You can always mix other bold colors with black to create a look that’s fresh and young. A front door is the first thing that your guests will notice about your home. A colorful and stylish door will welcome them into your living space with its cheerful exterior. 2019 is all about bright colored doors that enliven the whole house — giving it the much-needed facelift. The year will also see a lot of experimentation with materials, patterns, and high-tech doors. So, which one will you go for? Let’s help you with some styles that are trending. 2019 is the year of the bold. Even when it comes to your home design. Simple is boring. For a front door, homeowners are not hesitating from experimenting. 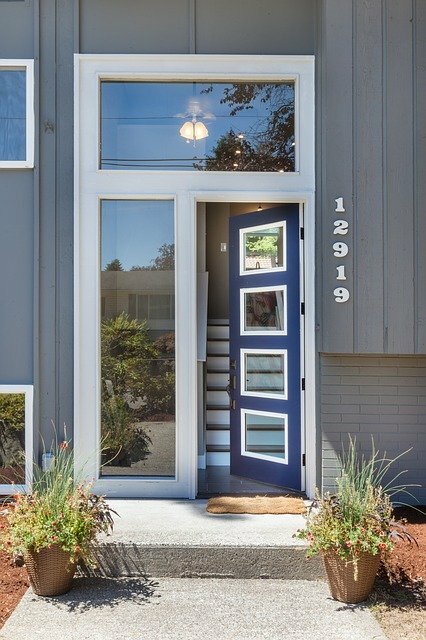 A bright door enhances your home’s curb appeal significantly. Orange, blue, purple, red — if there’s a color, it can be on your door. 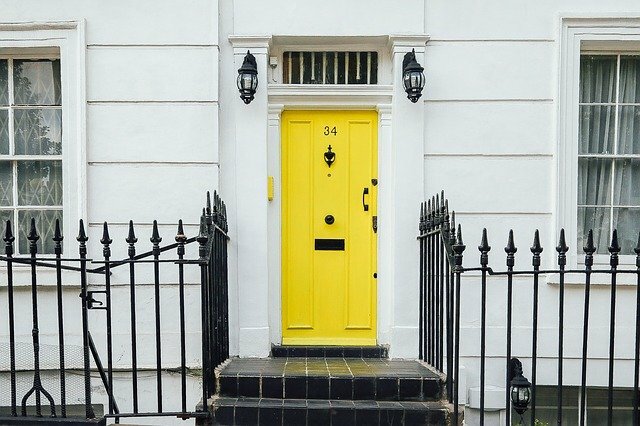 Handy tip: Coloring your door vibrant is a great option for those who just a need to give their house a facelift without a complete door replacement. Updating your door’s hue is a great way to dress up an older door without changing it. Have you ever forgotten if you’ve locked the door before leaving for your work? Or, were your hands full of groceries and you couldn’t reach for the keys? Doors with smart locks are the answer to your prayers. They work with your phone through Bluetooth, WiFi, and downloadable smartphone applications. Looking at this amazing style of door, you will agree that technology is a boon, right? Handy tip: For a secured door and best security for your house, install cameras and an alarm system. That way, you will be assured of a home that’s safe. 2019 will see a lot of sleek designs in doors. And, in bright colors. Here, a blue wooden door has been structured to accommodate glass slabs. These break the monotony of wood. The door looks trendy and might we add unique. Handy tip: Go for mixed finishes like natural wood and glass. The effect will be amazing — adding considerably to your home’s curb appeal. And, they give you a peekaboo to the outside world too. Cool, isn’t it? 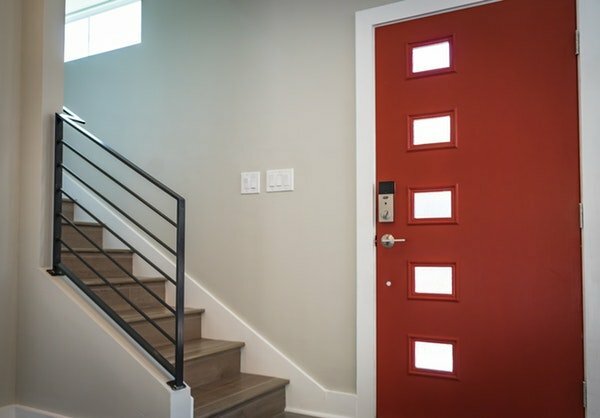 In 2019, there will be no more boring door designs for the millennials. They are willing to think out-of-the-box and come up with unique door styles. 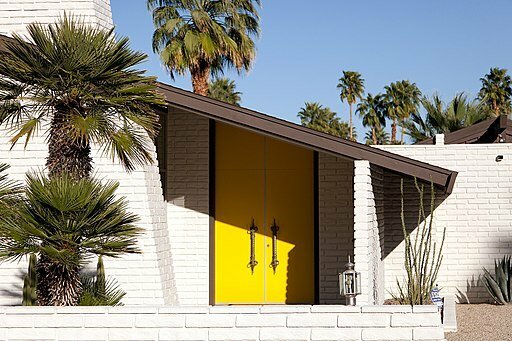 We love the bright-yellow door that looks straight out of an era gone by. One look at the antique door handles and anyone will fall in love. Yet, there is something very trendy about this design. Handy tip: Do your homework and look for unique door styles that match the different vibe of your house. There are some things that are timeless. A clear all-glass door is one of them. Such a door lets in natural light and adds great style and personality to the house. If you have interiors that are straight out of a magazine, this door trend is for you. Handy tip: Install a wooden or metal door, alongside the glass one, that opens outward. This second door is helpful when you need to close the house while going on vacations. It’s helpful to keep your budget in mind before beginning any kind of work on doors and windows. The average cost of installing 5 to 10 windows may be in the range of $3,200 to $5,200, or more. As far as the doors are concerned, the average cost for a fancy door can go up to $5,000. However, if you want a plain, no-frills door, it won’t cost as much. A steel door will cost $1,500 while a fiberglass one will be anything between $2,000 and $2,500. Of course, the cost will depend on the total number of windows and doors that you need and what style you go for. Your windows and doors are an important feature of your home; they are not just decorative but are functional too. They provide the first impression of your home, a peek into your world. Together, they effortlessly enhance both the outside and the inside of your home. So, if it’s time for an upgrade, look no further. Peruse through our 2019 window and door trends and improve your home design, and might we say decor, drastically. A perfect door and window installation, that fits the idea you have in mind, will make your home stylish and functional. When searching for the best fit for your house, don’t get overwhelmed by all the options. Remember that these fixtures add character and weight to your living space. So, choose well.